Sanders has represented Vermont in the Senate for more than 12 years and previously spent 16 years in the House of Representatives. He has also served four terms as mayor of Burlington. Sanders is more widely known for his run in the 2016 presidential election. “Bernie is one of the few names in Vermont where you just say it and everyone knows who it is,” Saltis said. A Media and Communication major originally from Castleton, Saltis stumbled upon the paid internship on social media and said that while she was initially “intimidated” by the opportunity, she knew that she needed to apply. Saltis transferred to Castleton from Community College of Vermont for the university’s Video and Film Production program, recognizing the ability to address real, current issues through video journalism and filmmaking. “Working in the media department is an outlet for just that. Bernie stands for a lot of really good things and to be a part of that is both exciting and special,” she said. When Saltis discovered that she was accepted into the internship program, she found herself having to make some sacrifices. 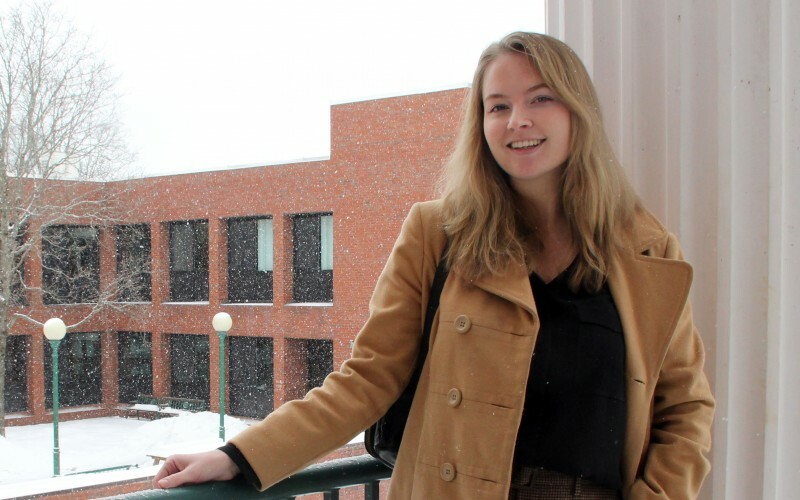 Because the internship is full-time, she decided to find an apartment in Burlington, where Sanders’ office is located, and commute to classes in Castleton once a week. Saltis intended to graduate this spring, but instead pushed two classes to the fall so she could focus on the internship. Saltis credits Castleton and her professors — including Michael Talbott, Dave Blow, and Andrew Wilson — with preparing her for this internship, from gaining experience in interviewing to how to run a teleprompter. “I don’t think I would have been able to get this internship without the experience I’ve had here at Castleton,” she said. “It’s such a welcoming environment and you get the attention here." With speculation of a 2020 presidential bid looming, Saltis is looking forward to the potential the internship has. “At this point, I can’t even grasp how many opportunities can come from this. The experience will help me down the line, whether through a career path or when applying to a master’s program,” she said.